The contemporary British author Andrew Lloyd Webber, called the “King of Musical”, is the only world author who presented simultaneously three musicals on Broadway. Undoubtedly, one of the most famous which continues the tradition of rock operas is Jesus Christ Superstar from the year 1971. The story comes out of the New Testament and depicts last seven days of Jesus Christ’s life from the viewpoint of Judas Iskariot who finally betrayed Jesus. The story is built on the main moments of Jesu’s last days such as his arrival to Jerusalem, expulsion of middlemen from the temple, Jesus’s last supper, Judas’s betrayal in the Garden of Gethseman, Pilate’s and Herod’s judgements, flogging and subsequent crucifixion. 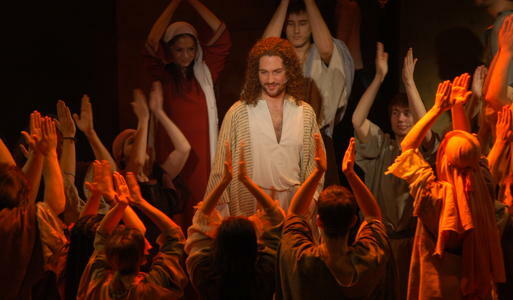 Jesus Christ Superstar was a great success – it had more than 3350 repeats when it was introduced for the first time in London and it still belongs to the most frequently performed Webber’s works along with The Phantom of the Opera, Cats and Evita. Let's praise the artistic agency GOJA (Gott-Janeček) which is going to do a breakthrough in the perception of the musical genre in Prague. In the Czech Republic, the musical was uplifted to the European level by Stanislav Moša and his Brno City Theatre. The visitors of the GOJA Music Hall at the Prague Fairground can convince themselves about it every day until Sunday. The Brno actors will present there the rock opera by Andrew Lloyd Webber and Tim Rice. The cooperation between GOJA and the Brno City Theatre (MdB) will continue until the summer holiday. The MdB will perform successively the following musicals in Prague: Joseph and the Amazing Technicolor Dreamcoat, Kolocava and Oliver. I assert with a provocative intention on the Prague ground: the response to the question how to play a top world musical in the Czech Republic should be looked for exclusively at the Brno City Theatre. 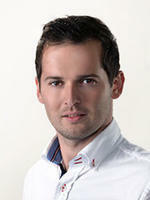 I am led to such opinion by the level of Jesus directed by the MdB's director Stanislav Moša. The director had a great success with Jesus and his Broadway's stars in the Netherlands, Belgium, Austria, Switzerland, Spain and Portugal. Of course, the huge potential of his own scene was used for the Brno's performance. The result is a unique, expressive and impressive Jesus, exceeding almost everything what was born at the Czech music scene. I cannot help but comparing it with the legendary performance directed by Petr Novotný at the Prague's Spiral; with such stars as Střihavka, Bárta, Basiková, Čok... good singers, average actors, poor dancers. Ninety percent of the Prague's commercial musical production, which bets not on the professionalism but on always the same "superstars" of the Czech basin and which is completely impossible to be exported abroad, is botched up in Prague in a similar way. When you see Moša's stars acting, dancing (brilliant choreography by Vladimír Kloubek) and singing (music studied by Milan Vidlák, Karel Albrecht, choirmistress Jana Hrušková) in the inventive costumes designed by Andrea Kučerová, on the slightly variable but monumental stage designed by Emil Konečný, you will feel shiver running down your spine. 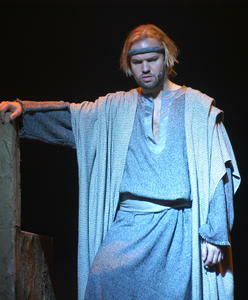 Dušan Vitázek is Jesus identical with the Anglo-Saxon film and phonographic studies, including the stylish head voice parts. In the ardour of dramatic expression he is exceeded by Robert Jícha (the third alternating actor playing the title role is Oldřich Smysl). 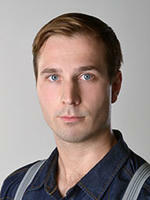 Success for the part of Judas belongs to Petr Gazdík and nobody on the stage can touch Ján Jackuliak for the expressive interpretation of this role. Ivana Vaňková is beautiful Maria Magdalena, fervid with love, mastering with bravura both the most catching songs of the performance (she alternates with similarly dramatically and vocally equipped Jana Musilová). Remarkable performances of Stano Slovák (Simon, Herodes), Zdeněk Junák (Herodes), Igor Ondříček, Jan Apolenář and Martin Havelka (Kaifas) will surely be appreciated too. When Prostějovský writes poetry I sang the praises of the poetic Czech translation of Jesus by Michael Prostějovský after the Prague's premiere of Novotný’s performance. It belongs inherently to the whole! Who thought something else, fizzled like Novotný with Evita, when he gave up Prostějovský's services in favour of the slavish translation... Paradoxically, the Prostějovský's poetic translation comes back with the film version of the musical Evita, while the technical version, entirely destitute of poetry, was presented on the stage (translator's name was forgotten along with the production). Prague really has something to look forward to since Tuesday. The Czech musical can be produced at the maximal professional level, but in Prague it is only represented by Balaš's performance of Gorki and Lotyanu's and Doga's Gypsies at the theatre Bez zábradlí. 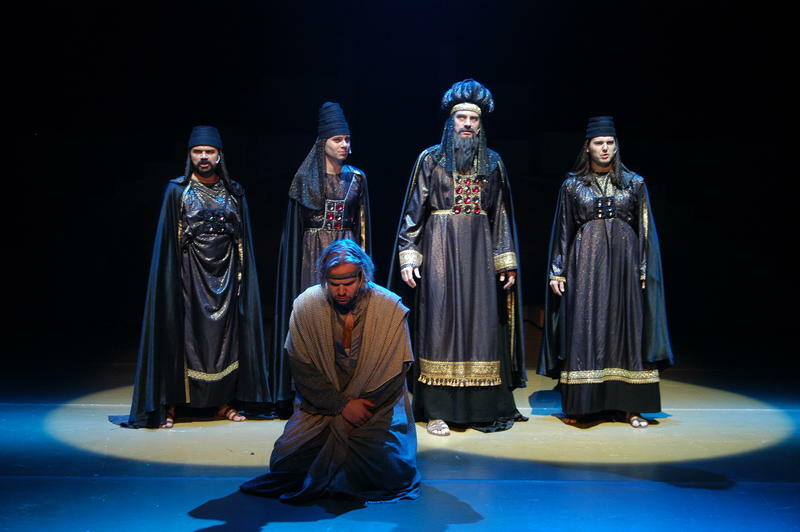 The well-known Passion play is produced by the manager of the Brno City Theatre and stage manager Stanislav Moša “as the Bible says”, but the gloss of a rock opera must not be missing. 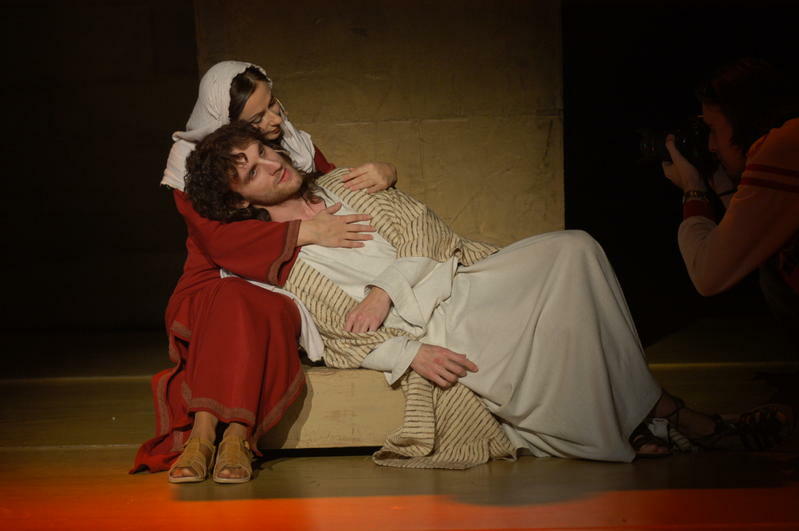 For Moša, Jesus Christ Superstar is a super temporal title with an emphatic humanistic message. However, at the same time it gives the spectator the possibility to make his/her own opinion. The stage manager dos not prefer any party, neither Jesus or Maria Magdalena, nor Judas or Pilate, though it is clear if they acted otherwise, the Christianity would collapse. Moreover, the performance is watched by spectators who are not interested in philosophising and who come to be pleased with the brilliant music by Andrew Lloyd Webber written on the libretto by Tim Rice and with the exquisitely staged show. Moša introduced “Jesus” in the middle of last March in two English previews in an international cast and then it was presented in Germany, Netherlands, Belgium, Spain, Portugal, Austria and Switzerland. The Czech version in the brilliant translation by Michal Prostějovský was put on the Music Scene in the middle of November 2005. Moša’s production lasts approximately two hours and a quarter, has a rapid succession and gradation. Emil Konečný’s stage is universal, super temporal. Its basic elements are staircase panels which allow mutual combinations like building blocks. It is usually done in front of the eyes of spectators who do not mind to see how “stagehands” manage with the blocks. 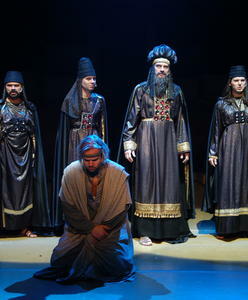 The costumes designed by Andrea Kučerová – in contrast to the neutral stage – respect the historical style, so there is not doubt that a spectator does not fall outside the New Testament Gospels for a moment. The choreography by Vladimír Kloubek gives a proper dynamism to the course of events on the stage and it seems that all the roles are made to measure – all actors show their enthusiasm. The majority of roles is alternated, some are secured fivefold, and it is said about the ensemble that no matter what alternation you chose, you will not make a mistake, as all the variants are even, with only several exceptions. The famous musical Jesus Christ Superstar which had its premieres in the Brno City Theatre yesterday and on Saturday seems to not grow old. The immortality of this new age passion-play dressed in the pop rock is ensured by excellent songs and the notorious biblical story. The work is also attractive and popular due to provocatively demythed Christ. No miracles take place in the musical. The God’s son is rather an earthly revolutionary assaulting with his teaching and being dubbed star against his will. Fortunately, Moša did not get away to cheap effects being at fingertips of the theatre exceedingly well equipped technically. Jesus’s simplicity and unostentatiousness seem to guide the stage manager. Severe movable coulisses of ancient Jerusalem and everyday dress of Jesus’s followers contrast measuredly with the resplendent beauty of representatives of the Roman world. All the more, the clever and forceful story of treacherous Judas who betrays Christ is outlined in Brno. Judas is simply afraid that the situation got out of the leader’s hands. The drill and performances of the “company” under this roof have been a device for many years. Look forward to the excellent vocal and choir performances strengthened perfectly by seven people behind the scene. You are in for a masterful sound. From the soloists, Petr Gazdík is shining in Judas’s role, Dušan Vitázek with Jesus’s image will fascinate you with almost lunatic expression of uncomprehended and betrayed Christ. 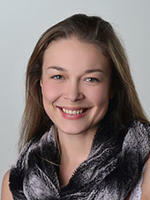 You will not forget of Maria Magdalena, penitent modeled with a full voice and simple acting by Ivana Vaňková. The Brno Jesus will win your favour, although he did not bet on spectacularity. In Brno, as well as in Prague some time ago, an extraordinary Czech translation by Michael Prostějovský was used. But the Brno actors already sang the musical in the English original when they toured South-West Europe. “Just thanks to the co-production with a German agency which enabled us to acquire the copyright we may also play the title in Brno,” director Moša explained. Thus, the Brno Jesus was first seen and heard in Spain, Portugal, Germany, Austria and the Netherlands. “The decoration remains original, just costumes got a new appearance,” stage manager Moša says about the coulisses of ancient Jerusalem and ancient dresses of dozens of performers. The spectators will also hear a live orchestra of eleven members. “Foreign critics and audiences highly appreciated the cleanness of the total form. The appraisal “Success of the Month” in the Theatre Papers was awarded to our theatre only after two dress rehearsals in Brno,” dramatic adviser Pavlína Hoggard said. Fans of the rock opera Jesus Christ Superstar who will miss the batch of first sixty performances will have a chance to see it, upon Moša’s words, until the end of the next year. Currently, I take Brno for the centre of Czech musical. In comparison to the rest of the Czech Republic, there is a top quality musical there. Many times, it is much more expressive than the capital’s private productions or as compared with the Karlín Musical Theatre. The reasons for this phenomenon are simple. 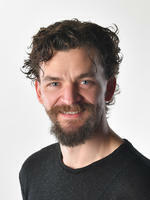 Director Moša is able to apply production principles necessary for musical to his endowed theatre. Tours abroad have gained a good reputation of the Brno City Theatre with agencies which own rights to musical hits. The Czech theatre needs to come up to the greatest musical hits. These hits are basic building blocks on which the ensemble quality is verified. 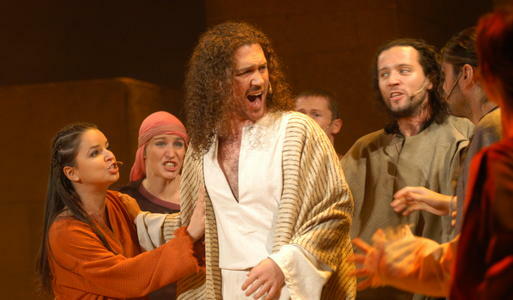 In fact, to play Hair or Jesus has the same function as to present Puccini’s or Verdi’s works in opera. 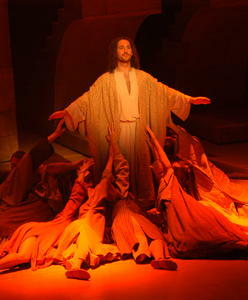 I saw the Brno performance of Jesus Christ Superstar last April in the preview before the tour abroad. It was excellent. Also due to the fact that Broadway musical actors appeared in Brno. The comparison was instructive for the audience as well as the ensemble itself. The well-managed performance does not want to tell the story to the last descriptive detail, it has rather worked out symbolic pictures. The performance was something between a theatre and a rock concert. This approach suits to the musical Jesus Christ Superstar. 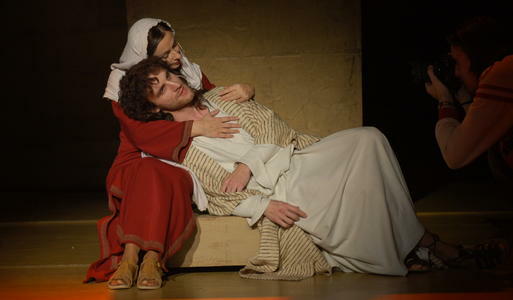 The Brno production of Jesus Christ Superstar was referred to as the success of the month in the regular column of the last issue of the Theatre News. The successful staging was directed by Stanislav Moša. 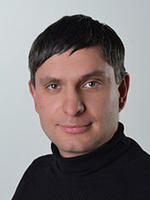 Spectators will see the musical again in the new musical “arena” in the autumn. Městské divadlo Brno (the Brno City Theatre) has already entered the European Union, as for several years, Stanislav Moša has been coursing countries from Benelux to Spain presenting the Brno-version musicals. He put up two maps in the foyer of the Městské divadlo, where the spectator can see what happened and when, just as victorious battles are marked in a war map. And such places are small, larger and the biggest ones, and the map is strewn with data! It is obvious that Moša promoted himself discretely to the most important Czech theatre producer. Although his actors are capable musical artists, the European partners require specialists from Broadway. Is it a problem? Not for Moša: for the first time, he organised a competition in Broadway in May 2002 and the Broadway actors thus helped in the staging of the Musicals from Broadway. In December last year, Moša started a long tour with the West Side Story in Amsterdam with a partly Broadway casting, and in the mid of March, he presented two previews of the rock opera Jesus Christ Superstar with a similar casting. By the way, it was the first time this rock opera was presented in Brno. The first night performance will take place in Iserlohn of Düsseldorf; until autumn, the performance will also be presented in Amsterdam, Hannover, Stuttgart, Mannheim and Salzburg. It will be presented, of course, in English, with live and precisely co-ordinated orchestra directed by Milan Vidlák, who is the director of the perfect music production. Moša modified the musical creating a more compacted version for a smaller company, and he himself directed it in an appropriate manner to present well arranged and at the same time attractive scenes, made even more attractive by the choreography of Vladimír Kloubek. Emil Konečný prepared a scene kit out of which various scenes can be quickly assembled in stages of any size equipped with any equipment. The horizon is closed with a painted poster; dynamic light design is used for light effects. It is a typical “tour performance”, however, it does not lack the most important characteristics, and what is even more important, it gives possibilities to the individual artists. The young actors from Broadway, successfully helped by the “home” actors, make a cleverly prepared performance a top-quality musical event. With all the respect to the famous Prague production of Petr Novotný I have to say that Jesus Christ Superstar has never been presented in the country with such an authenticity as in the Brno previews - the types of the actors are perfectly selected, there are sure about their movements and voices, and what is more important, they sing and dance with an elemental, I would say almost inborn sense of style, which is something what the Prague popular singers were not able to achieve in their respective musical parts, neither were these able to put into their acting the breathtaking energy which really spouted out from the Brno stage, giving the spectators an intense experience. I do not think it is necessary to point out the essential effect which such a co-operation may have on the Moša´s company, as a real confrontation with authentic Broadway musical acting is just priceless in our conditions. If only Broadway producers would like to be guest here! Although simple in its vehicles of expression, this incredible performance does not lack a spiritual dimension. Moša achieved it by means of an accurate balance and simplicity which culminated with the closing scene of crucifixion, the style of which was derived not just from the spectacular musical but rather from a folk passion play. A commercially probably extremely successful Prague production could be based on such an approach. In Brno, the musical will be presented within two years, already in the new theatre house; it will be presented in Czech, which probably means without the actors from Broadway. 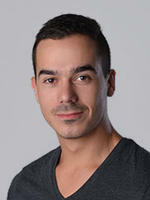 We will see how much Moša´s actors will have learnt by that time from their colleagues´ art and perfect skills. I regarded Lloyd-Webber’s Jesus Christ Superstar presented by Petr Novotný in the Prague theatre Spirála the best musical put on the Czech stages after 1989. It is a bit different now. Other Jesus, this time directed by Stanislav Moša, bears comparison. Its pre-premiere took place in the Brno Municipal Theatre on 14 March 2004, the premiere was held on 17 March 2004 in Iserloh near Dortmund, Germany. 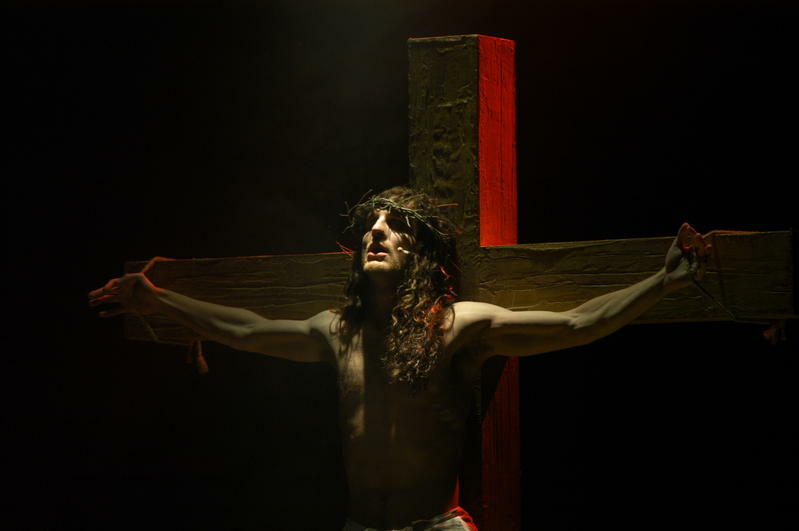 After touring Western Europe, Moša’s Jesus in the translation by Michael Prostějovský will come back to a new Brno musical theatre. The theatre will be opened ceremonially with Hair by Miloš Forman on 2 October, in spite of a lot of adversities on the part of so-called dramatic avant-garde (35 years ago) and the Brno cultural community which is able to eat itself saying the blame lies with the disfavour of Prague. In connection with Jesus I should mention the European success of Moša’s Brno West Side Story, its latest study in cooperation with Broadway soloists conquering the Netherlands and other countries since its premiere in Amsterdam on 2 December 2003 and evaluated by their critics as the top-quality European study of American musical. Novotný will remain the first one who incited the interest in the genre which was not all rosy before November 1989. Nevertheless, he also started the sterile practice of assigning the roles to singing non-dramatic stars. Nothing against Basiková, Střihavka, Bárta, Černoch, Bílá, Spálený, Čok and others, but only the last-named can move on the stage, but not dance. That is why, the presentation of Lloyd-Webber’s Cats or Larson’s Rent is unthinkable in the Czech Republic. If you compare for example Střihavka’s performance with Brady Swenson’s Jesus in Moša’s presentation, you will understand why Czech musicals just stay at home, although earning a lot of money. Czech singers may just dream of Swenson’s vocal register and heights. The same is true about dramatically mature Judas of Stuart Metcalf, Maria Magdalena of American Asian Lanie Sumolinog, black Simon of Michael Kelleyn... Robert Jícha (Peter), Karel Škarka (Pontius Pilate), Petr Brychta (Eneas) and Moša’s Czech dancers bravely keep pace with the Americans, improving their performances role by role. Excellent choreography by Vladimír Kloubek and Ivana Kloubková, variable stage by Emil Konečný adjusted to transports (pre-premiere stage reconstructions were prettily getting stuck), costumes by Andrea Kučerová, masterful orchestra conducted by Milan Vidlák... In five words: production bomb of the year. Not only the Brno audience has something to look forward to. Unusual view of Jesus and the betrayer Judas is offered by Andrew Lloyd Webber in his musical “Jesus Christ Superstar” which was presented in the Festival Halls on Sunday night. The audience expressed their thanks for the impressive spectacle with endless standing ovations. Almost thirty persons altogether. Music by the composer Webber played live opens the heart, affects and excites. 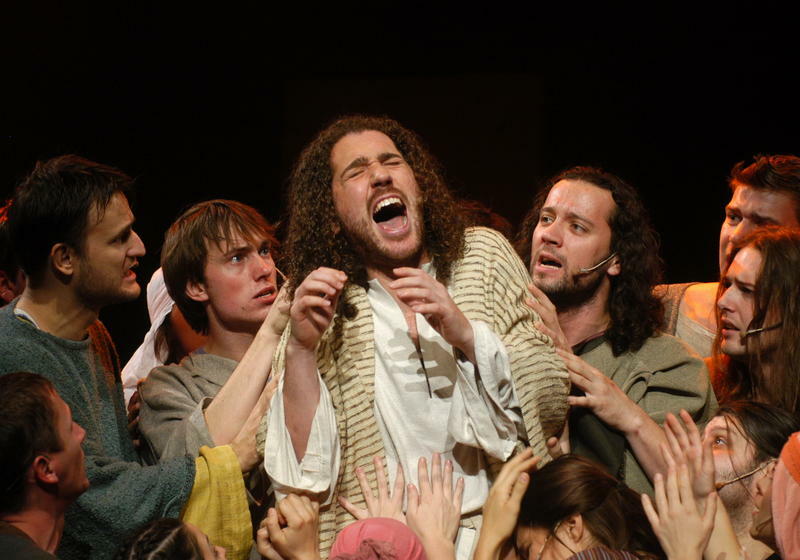 The musical “Jesus Christ Superstar” was put on Sunday night. The work by Andrew Lloyd Webber and Tim Rice belongs to the best works presented so far in the Festival Halls in Pein. At least the thunderous applause and standing ovations indicate so. 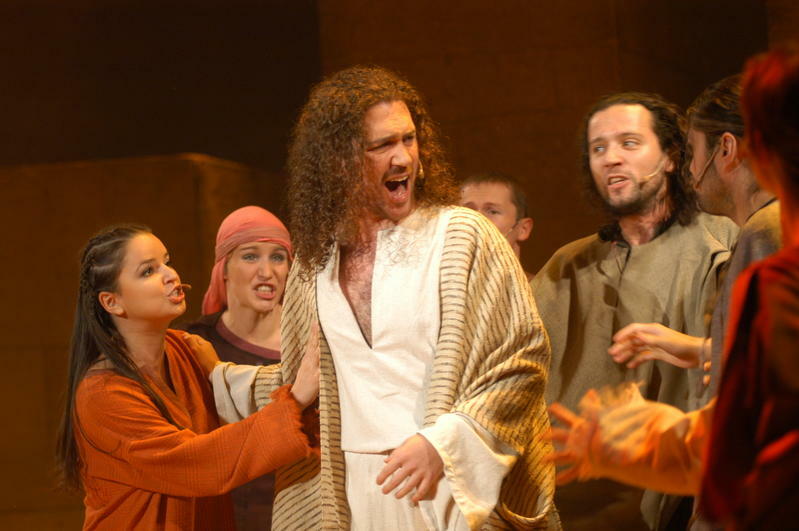 The rock opera “Jesus Christ Superstar” was finished with many encores. 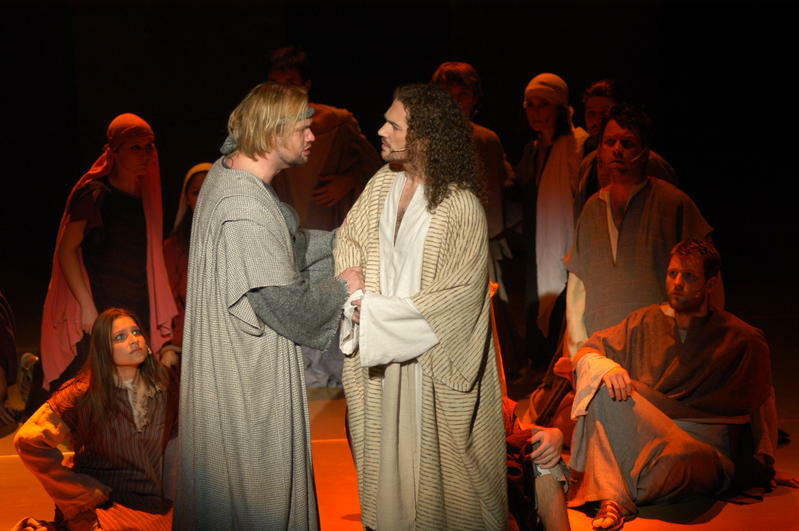 Only the repeated „duet“ of Jesus and Judas could calm down slowly the frenetic applause of the audience. “It was fantastic how all the artists could present the work on such a small stage”, fans like David Hahn said passionately. “I must say, I liked Judas most of all”. Such and similar statements were heard on Friday evening. Besides, Judas became a favourite of (ladies) audience. In spite of a small number of theatre-goers, the Czech-American ensemble did not falter and offered a first-rate performance to the audience. 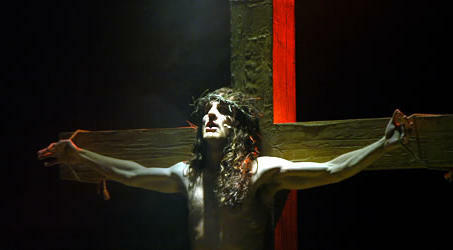 The rock opera tells the story of Jesus from Palm Sunday, through the last Lord’s supper to the moment of crucifixion. At the beginning, an unusual picture of the scene was offered to the audience: Simple props in the colour of sandstone, a staircase ending nowhere. Changes in illumination could create a dangerous or pleasant atmosphere. The performances of singers did not stay behind the stage decorations. The main characters - Jesus, Virgin Mary and Judas had excellent voices and managed to interpret individually their performances. Jesus’ suffering impressed audiences long since Mel Gibson’s film The Passion of the Christ was shot. The rock musical by Lloyd Webber “Jesus Christ Superstar” narrates the stations of the cross in impressive pictures based on the New Testament and dressed in the gown of the 1970’s. The magnificent two-hour performance was mastered very well as for its stage design. Huge stage constructions were missing but we could see simple columns and staircases creating the background for Jesus’ painful crucifixion. 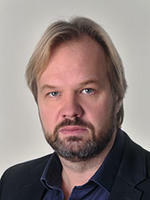 The director Stanislav Moša focused on the religious content of the work where Jesus as the leader of revolution is not understood at the very end, even by his disciples. Milan Vidlák with his band of ten members provided an extraordinary musical experience. Nowhere were heard false tones, everything was in a perfect harmony and made-to–measure to the musical protagonists. Summed up and underlined, it is a very successful performance which convinced the audience visually as well as sonically. Look for the answer to the question how to play a top-level world musical in the Czech Republic exclusively in the Brno City Theatre after the destruction of the Karlín Musical Theatre by the Municipality. I am led to such a bombastic entrée by the quality of the rock opera Jesus Christ Superstar rehearsed by director Stanislav Moša. The stage manager won great acclaim with Jesus and his Broadway stars in Holland, Belgium, Austria, Switzerland, Spain and Portugal. Naturally, the huge potential of the Brno City Theatre was used for the Brno performance. The result is unique, expressive, attractive, compelling Jesus exceeding almost everything what has ripened on our music scene. I cannot ignore the comparison with Novotný’s performance in the Prague Spiral; with the stars like Střihavka, Bárta, Basiková, Čok... good singers, average actors, bad dancers. Ninety percent of commercial musical production, entirely non-transferable to the world, has been patched together in Prague in a similar way, betting on always the same “superstars” instead of the quality. When you see Moša’s stars in Andrea Kučerová’s inventive costumes, acting, dancing (Vladimír Kloubek’s bravura choreography) and singing (music study by Milan Vidlák, Karel Albrecht, chorus mistress Jana Hrušková) on a slightly variable, monumental scene by Emil Konečný, you will feel chilly. Dušan Vitázek’s Jesus is identical with Anglo-Saxon production, film and gramophone studies, including idiomatic falsetto parts. Robert Jícha still supersedes him with his fervour of dramatic performance (the third alternant of the title role is Oldřich Smysl). 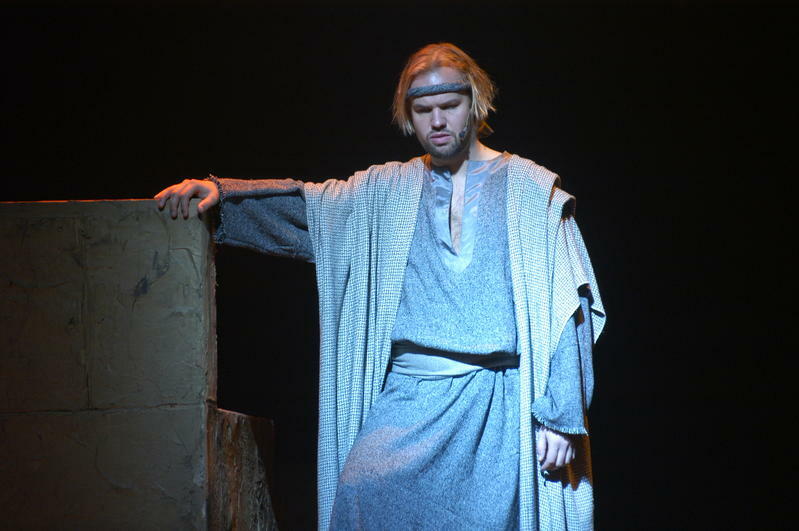 Petr Gazdík won great acclaim for his part of Judas, and nobody on the scene can touch Ján Jackuliak in his expressive approach to this part. The Brno City Theatre put on the stage another musical of world format. 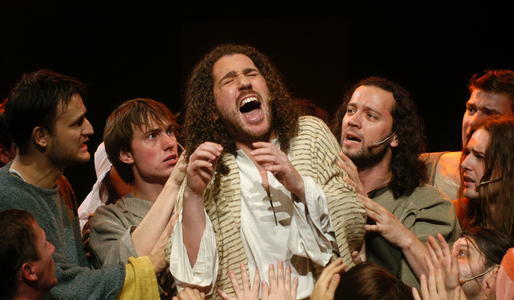 After the musicals West Side Story, Hair and Oliver, Webber’s Jesus Christ Superstar has its turn. Brno is proudly bearing on the good name of this musical without disparaging it. The Brno City Theatre has three Jesuses (Dušan Vitázek, Robert Jícha, Oldřich Smysl), four Marias Magdalenas (Ivana Vaňková, Hana Holišová, Johana Gazdíková and Jana Musilová), two Judases (Petr Gazdík, Ján Jackuliak), and many others. 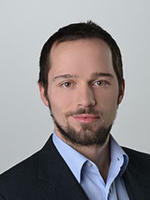 Let me mention the figure of Simon Zélót acted by a new member of the ensemble Michal Kavalčík who attracted my attention (alternating with Jan Fiala and Stano Slovák). Though it is true that neither he managed to make the audience sing the song Poor Jerusalem as he should, nevertheless, his performance is suggestive, charged with energy and it may rather be the audience’s fault that it does not go off. The music was trained brilliantly by Milan Vidlák and Karel Albrecht. The performance which is not much demanding as for the stage technology, is quite well elaborated as for the sound. Among others, the effect of final thunderstorm is so impressive that you feel chilly in your back. Hammering nails into Christ’s limbs is also accompanied with such a credible sound coulisse that it may not have a good effect on weaker individuals. Emil Konečný’s scene is characterized with a simple use of space with a minimum number of coulisses shifted on the stage during the night. It confirms the phrase: less is more, or beauty consists in simplicity. The Brno Jesus is a synthesis of first-rate stage management or the work of realization team, stage technology, lights, sound, music and dramatic performances. Jesus’s death and the resulting suggestive feeling is suppressed with the songs like Hossanna, Poor Jerusalem and Superstar which are sung repeatedly in an abbreviated form during final curtains. To summarize, I will use Tim Rice’s words: “Everything is as it should be.” Undoubtedly, the rock opera Jesus Christ Superstar put on the stage of the Brno City Theatre deserves an applause. 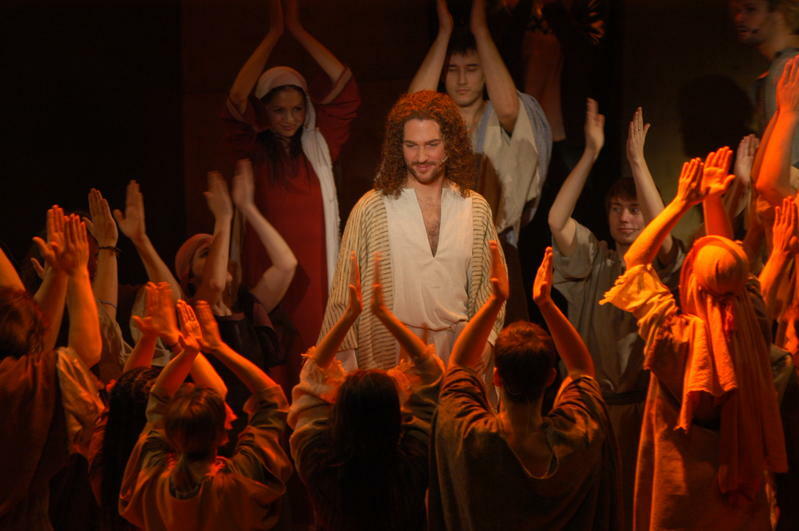 The Prague production of the rock opera Jesus Christ Superstar (music by Andrew Lloyd Webber – libretto by Tim Rice) was so successful on all sides that it almost seemed that any other Czech presentation of this title would fail. Since 22nd July 1994 to 28th June 1998 crowds of enthusiasts from the entire republic were streaming to the Prague theatre Spirála, many of them repeatedly, to enjoy the cult performance of that time stage managed by Petr Novotný. Excursions to Prague resembled pilgrimages, but the conclusion of the four-year anabasis signalled that the market is replete with “Jesus”. 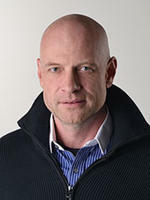 However, director and stage manager of the Brno City Theatre Stanislav Moša did not hesitate to step over the Prague shadow: As early as in the middle of last March he introduced his “Jesus” in two English pre-views with an international cast and then he presented it in Germany, Netherlands, Belgium, Spain, Portugal, Austria and Switzerland. But Moša did not want to do his home fans out of the performance, and so the performance came into the world in two premieres on the Music Scene in the brilliant translation by Michael Prostějovský (on 12th and 13th November this year). Theatre-goers are enormously interested in the performance, which is proved by additional repeats. Moša tries to produce the well-known passion story as timeless, with a strong humanistic message, however without going outside the framework of the New Testament gospels. The gloss of the present rock opera is not missing. Christ’s last dozens of hours are so impressive that Jesus easily acquires sympathies, audiences condole with him. In spite of that, Moša, in accordance with the authors, does not judge or damn those who crucified Jesus. Incidentally, it is difficult to say what would happen if Judas decided to not betray Jesus in the last moment or if Pilate did not give him over to death. Thus, every spectator is offered the possibility to make his/her own opinion on this section of the Bible, no party is preferred. After all, the performance is also attended by those who want to enjoy themselves with the beautiful music and the exquisitely staged performance. The scene designed by Emil Konečný resembles somewhat building blocks or puzzles: the basic elements are staircase panels which may be combined in different ways. Reconstructions take place under the eyes of audience who do not mind that they can see scene-shifters in action. You may ask a question if the universal scene needs any change – it is better that it is rich of changes, firstly it does not become commonplace and secondly there are scenes which require a more intimate stage and scenes in which the dynamic choreography by Vladimír Kloubek requires the space as large and free as possible. And it has been well-known for a long time that Kloubek is able to start moving chubby individuals, not speaking about those having a motoric talent. Ivana Vaňková with her delightful timbre excelled as Maria Magdalena. Oldřich Smysl fully conformed to the traditional image of Jesus, although he has not reached the Christ’s age yet. From many other successful creations let me mention at least Martin Havelka’s Pontius Pilate and Igor Ondříček’s Kaifas. The unhidden vitality of the performance was apparent not only on the stage, properly sparkling strong sounds were flowing from the orchestra pit conducted by Milan Vidlák. Although Moša’s production of the rock opera Jesus Christ Superstar glittered most a year and a half ago in the English version with the aforementioned international cast, its current Czech version bursts with so many strong points that its long stage life may be expected. 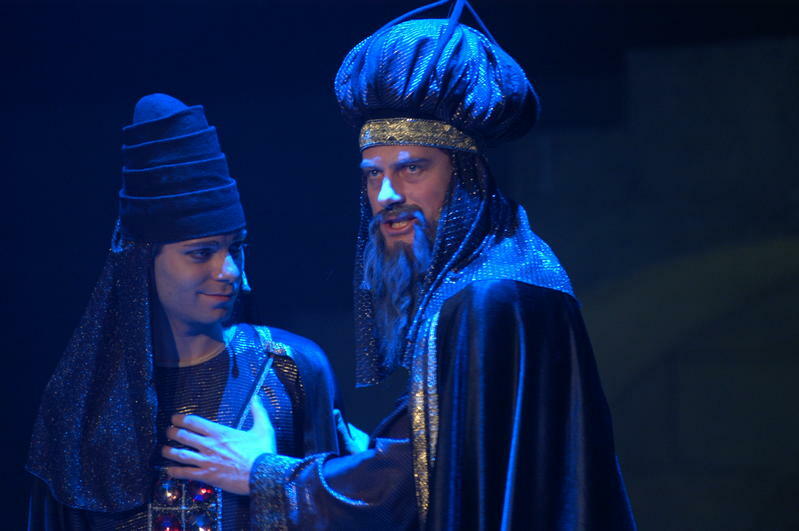 With stormy applause and a standing ovation more than 300 spectators gave thanks to a Czech ensemble, here as part of a German tour, for their performance of rock musical “Jesus Christ Superstar” at the City Theatre this Wednesday evening. Enthusiastic spectators repeatedly called for the cast to return and were only satisfied when they re-appeared a fourth time. The ensemble won over the audience with their excellent singing, immaculate choreography and evident love for the material itself. 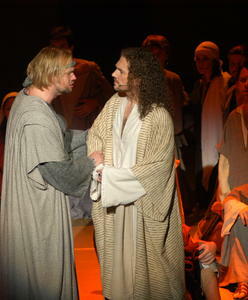 Most of all, both of the main actors, Dušan Vitázek (Jesus) and Petr Gazdík (Judas) excelled with their emotional performances. As the many-layered character of the innocent traitor Gazdík created an unusual counterfoil for Vitázek’s sensitive portrayal of the Messiah, who wanted to help everyone and in the end was unable to help even himself. The costumes used gave colour to the individual characters, from the poor beggar swathed in rags, through the Roman legionaries equipped with leather armor to the insatiable King Herod, living in luxury surrounded by attractive concubines and gaudy belly dancers. 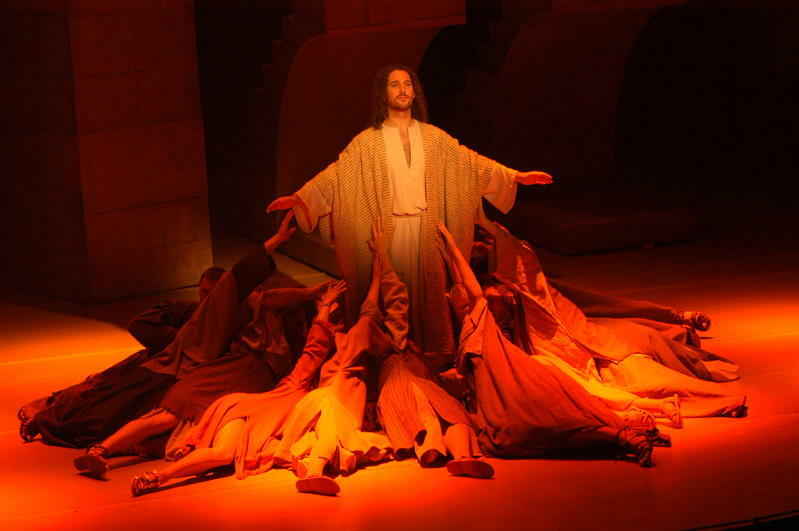 The totally different perspective on the death of Jesus offered by “Jesus Christ Superstar” is right now in the Easter period most interesting and thought-provoking. It steps away from the black-and-white Biblical version and the familiar approach to individual characters: there is the savior that shows his weakness, the traitor who acts as he does for altruistic reasons, and a pack of apostles, who give the term “admirer” a whole new meaning. They all get the audience thinking. The ending, which does not celebrate the resurrection of Christ, but merely depicts his tragic death, was particularly unusual. There was a moment of stunned deliberation after the final curtain fell, before finally the well-deserved applause erupted. After the performance ended the ecstatic audience could leave the theatre with memories of an unforgettable evening. 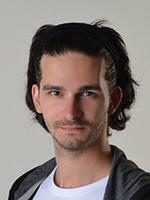 If we wanted to highlight just one of the singers, it would have to be Petr Gazdík as Judas. There is the part where Judas accepts the bag with thirty pieces of silver. The way in which he internally fights with himself, aware of the consequences of his actions, was a masterful acting performance. With his quavering voice, only able to force the syllables through his lips with difficulty, his utter desperation was clearly visible. For some time one was willing to believe that it was Judas who was the main star of the show. The verbal battle between Jesus (Dušan Vitázek) and Judas during the Last Supper was also amazingly dynamic. It was the wild, ecstatic cries of Jesus that gave the scene its emotionality.